How will the CloudStore impact government IT? The CloudStore could signal a new model for procuring IT, making it easier for the public sector to do business with SMEs and breaking up the traditional supplier monopoly. The government’s CloudStore could signal a new model for procuring IT, making it easier for the public sector to do business with SMEs and breaking up the traditional supplier monopoly. We ask how disruptive this move will be for the IT supplier market in government. The launch of the CloudStore, a catalogue of 1,700 on-demand IT services available to the public sector to purchase, has been heralded as a route to breaking up costly contract lock-ins for bespoke services with a handful of system integrators. Price transparency could lead to significant cost reductions, with departments expected to save up to 75% for IT services as well as creating standardised prices across the public sector. For SMEs it is hoped to create a level playing field to compete with much larger players; remove the labour-intensive paperwork associated with government procurement, as tendering becomes a one-off process; and enable new companies to enter the framework on monthly basis rather than having a barrier of several years. Tonino Ciuffini, CIO at Warwickshire County Council, says the council will take a ‘CloudStore first’ approach to future IT procurements. 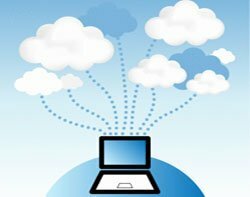 Warwickshire is already piloting a cloud email service, which Ciuffini expects will save the council £250,000 per year. “After the Cloudstore release, one of the first things our business manager asked was if there is anything on there to support our email," he says. Ciuffini says he hopes to work with Socitm, the body for public sector IT professionals, in the way it can promote the G-Cloud through its shared services strategy. “This is an opportunity to share services in less threatening way than one organisation saying to another – ‘We are looking to take over your services,’” he says. Research from TechMarketView has found that around 50% of the 257 suppliers on the framework are small businesses. If Cabinet Office minister Francis Maude’s target of half of all government IT eventually goes through the cloud store, it could lead to SMEs gaining unprecedented access to public sector buyers. But how will this shift affect the role of traditional government suppliers? Jonathan Mills, director of local public services at system integrator Capgemini, says the framework won’t damage the company’s public sector IT market share.“We have an ecosystem that models lots of niche partners. But it is disruptive to the monolithic, IT outsourcing model,” he says. Capgemini has 12 services on the cloud store mainly around infrastructure-as-a-service and specialist consultancy areas. “Our market should be protected if we offer right thing. But I think what will be disrupted is the idea of buying something simply because it’s big. So it’s up to us to focus on value for money, innovation and breadth of offerings. That is the way to grow market share. It’s about being competitive rather than expecting [contracts] to simple arrive gift-wrapped. “As a supplier we recognise the model of the future, and we are positioned well with the work we have done,” he says. Sarah Burnett, research director at analyst firm NelsonHall, says the biggest initial impact of the store will be in delaying procurement decisions as public sector bodies weigh up their options.“There will be some dabbling, toe-dipping and piloting. The government will probably encourage departments and organisations where they can to take cloud services so they can prove the business case," she says. “It is a sector which tends to be risk averse and only goes for things when it’s certain they will work. The uptake is likely to be low initially but might ramp up." Joe Dignan, European public sector for analyst company Ovum, believes the store marks the start of a huge shift in the way the public sector does IT. “Through the store it will be impossible not to accelerate the move to the cloud,” he says. However, Dignan believes it’s important not to get into an ‘SMEs are good and big companies are bad’ mindset. “We need to have more competition but I’m not sure we’re there yet in terms of SMEs being able to scale to the ability the government needs.” One solution could be better partnerships with SIs, he says. Scalability has been long flagged as a reason SMEs have been precluded from government IT procurements, as it has been suggested many lack the resources to deliver the volume of requirements needed by government organisations. Joe Gardiner, head of product at small web hosting company CatN, one of the SMEs to have been awarded a place on the framework, contests the view that there are large risks associated in doing business with SMEs. “Just look at the risk associated with large SIs, who typically aren’t motivated to deliver a high level of service once their eight-year contract is signed. They have no motivation to deliver beyond the SLA (service level agreement), whereas we’ll be hugely motivated to deliver an excellent service if an organisation signs up on a month-by-month basis” he says. Gardiner says the public sector’s track record for failed IT projects is reason alone for it to broaden its supplier base. “To be honest, IT in government can’t get any worse. There have been so many mistakes and massive losses with SIs. “No one’s going to put a multi-million project on the store, it’ll be small projects like web hosting for a couple of thousand pounds per month," he says. Richard Davies, CEO of cloud hosting company ElasticHosts, which also has services available on the store, says the fact these products are being delivered over the web automatically makes them scalable. As the CloudStore is still in its very early days, any predictions of its impact are likely to be highly speculative. However, the concept appears to be not only in line with the cross-sector shift to more on-demand IT but also an international move by governments toward commodity IT, with the US having also adopted a ‘cloud first’ strategy. For a body as unwieldy as the public sector, the culture change required to implement commodity IT will not happen immediately. But uptake should increase once services have been tried and approved by the government’s early adopters. And if the cost savings involved are as significant as estimates suggest, it is hard to see how other organisations will be able to justify not making the move to cloud in the current environment of austerity. In such a situation suppliers can no longer afford to cling to to old models.